This is a fun item. 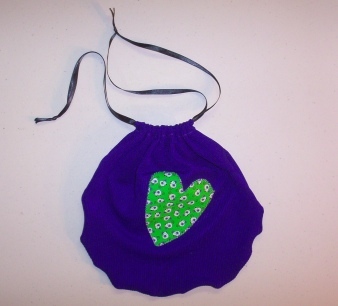 This drawstring pouch/purse is approx. 9" x 9" a bit bigger then most pouches and it is just perfect for any day, but especially cute for Renaissance Fair and and or Medieval Outings. It is a perfect size for those items you want to carry right with you. 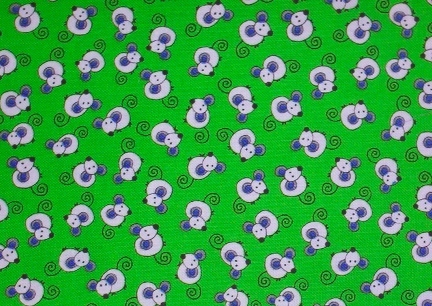 Photo is close up of the fabric used for the cut outs. The purple fabric is highlighted with a Rat/Mouse Print Rattie Cut Out. PLEASE NOTE! The bottom of the pouch looks uneven. It looks like this because of the stretch and stitch stitches that needed to be used with this fabric. The bag has multiple stitching all the way around to make sure your items will not tear out. You could machine wash this bag, but I would just hand wash when needed and let it air dry. No two Rattie totes exactly alike. Please Note: Our items are nonreturnable and not refundable. If there is a problem with craftsmanship we will be happy to replace the item. This item is new and has never been or used around any animals. It was designed and handcrafted in our NW SD non smoking home. YOU ONLY PAY SHIPPING ON ONE ITEM PER ORDER WHEN YOU SHOP WITH US. THAT IS RIGHT, KEEP SHOPPING ALL BUT THE HEAVIEST ITEM PER ORDER SHIP FROM FREE!